Enter your email address below to receive a notification when Wrestle Crate starts accepting new sign-ups! Enter your email address below to receive a notification when Wrestle Crate is accepting new sign-ups again. Orders placed by the 18th of the current month are delivered between the 20th & the 30th of that same month. 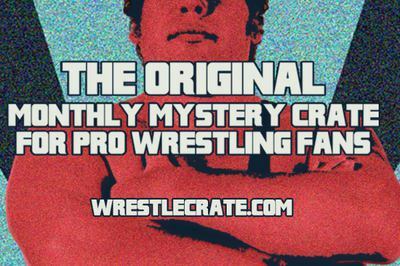 The Original Mystery Crate for Pro-Wrestling Fans! 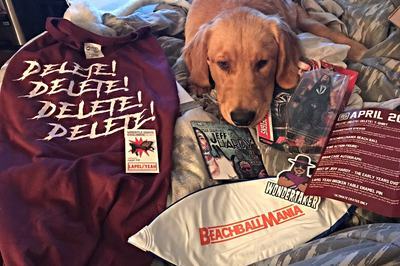 Wrestle Crate is a monthly recurring subscription service that delivers a crate full of hand-picked Pro Wrestling loot to your door. We ensure that the quality of our products are top notch, and cannot be beat! Autographs from your favorite superstars! 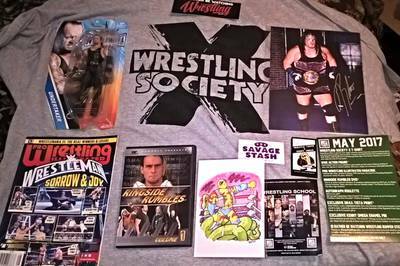 Other items can include: figures, pins, DVDs, magazines & comics and MORE!